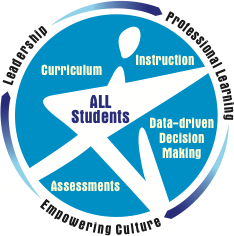 The National Center for Learning Disabilities identified seven essential, evidence-based components to whole system reform to benefit all students. Discover how these components contribute to the effective implementation of a Multi-Tier System of Supports (MTSS), Positive Behavior Interventions and Supports (PBIS), and Response to Intervention (RTI). Learn how the recent U.S. Department of Education study on RTI and related article by EdWeek left out one critical element for evaluating successful RTI implementation. Developed in partnership with CASE, NASDSE, and NASP, this online toolkit is a detailed resource that summarizes what the law requires and provides a clear vision of best practice related to an RTI-based SLD Identification process.